Dr. Meixler is board certified in internal medicine, pulmonary diseases and critical care medicine. He was awarded his medical degree from Boston University School of Medicine and went on to complete his internship and residency training at the Manhattan VA/New York University Medical Center, where he served as chief medical resident. He completed a fellowship in pulmonary and critical care medicine at New York University Medical Center / Bellevue Hospital Center. He is currently Director of the Department of Internal Medicine and head of the Medical Staff Peer Review Committee at White Plains Hospital. Previously, he served there as chief of the Division of Pulmonary and Critical Care Medicine. He is affiliated with White Plains Hospital and Greenwich Hospital. Dr. Gretz is an associate professor of obstetrics, gynecology and reproductive science at Mount Sinai School of Medicine. He provides advanced surgical care including minimally invasive and robotic procedures for benign and malignant gynecologic conditions. Dr. Gretz served on the board of directors of the NYC Health and Hospitals Corporation and chaired the Quality Assurance Committee. 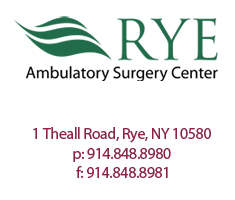 Ellen Briotte is the director of the Rye Ambulatory Surgery Center. Previously, she was the acting director of the facility and director of operations at WESTMED's multi-specialty medical facility, also at 1 Theall Road, Rye. Ms. Briotte has a Master's degree in business administration and healthcare management from Iona College and a Bachelor of Science degree in psychology, also from Iona.